Rogan paintings are not so much famous in Gujarat. More than 400 years old Rogan artwork is tough and time consuming art. But unfortunately because of less awareness about the work, Rogan paintings fail to attract much traveller to the Nirona village. Kutch, being one of the prominent travel locations in Gujarat, has this small village Nirona where Rogan paintings are found. Rogan (castor oil) painting is 400 years old and originated form Persia. It is kind of an oil painting where castor oil is used. 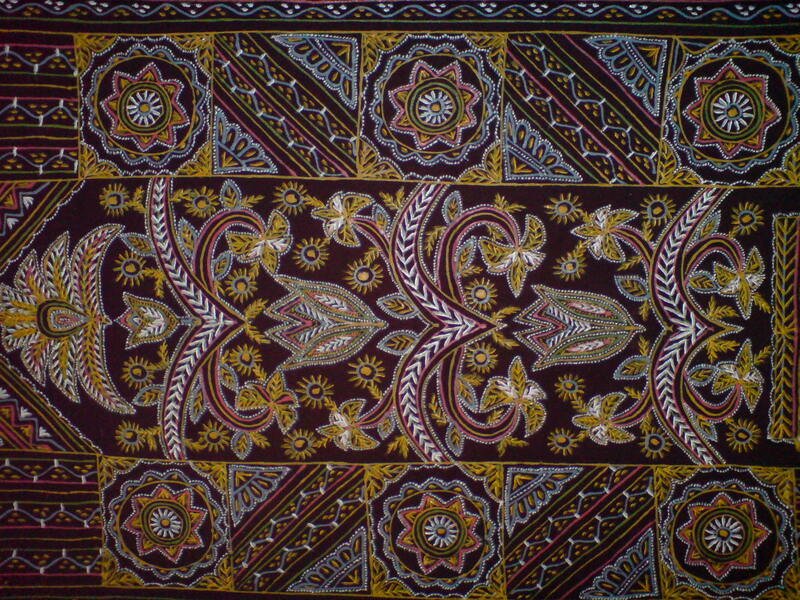 There is a family called Khatri who have started this handmade painting on fabrics a long time back in Nirona village. Their son Gafoor who tried the art for several years but shifted to other occupation, had taken the work as profession again after his father and grand father’s death to encourage the art. Since then the Rogan paintings are carrying the essence of the Nirona village, which becomes one of the leading travel spots in Gujarat. •	Castor oil boiling: the castor oil (the main element of the painting) needs to be boiled for three long days and then it requires to be cooled down (at room temperature). •	Mixing colours: once the castor oil gets cold the vivacious colours such as red, orange, green and white are being mixed with the oil. They put the mixture in a clay pot and add some water to moist them. •	Painting: the final stage is painting. 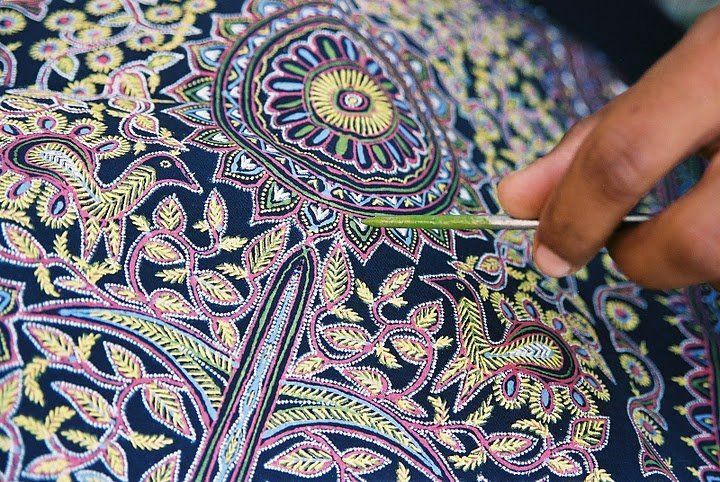 They use small iron rods to draw the design on fabrics. The rods have flat edges in both sides. The technique is tough and time consuming. To paint a small piece of cloth (1 ft.) takes at least a month of time. Wall hangings, table covers, cushion covers, Saree, Dress materials, bedspread and much more products are found with Rogan Painting. Even though Kutch is one of the prominent travel destinations of India, Nirona village is still not recognised yet.